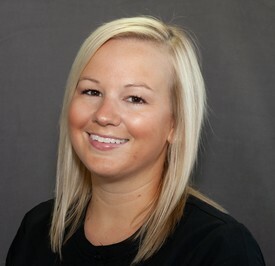 Brie is a 2012 graduate of the Rock Valley College Dental Hygiene Program. She has worked with Dr. Patel since 2012 and joined him when he took over for Dr. Peltz in 2015. 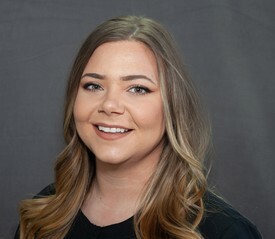 Brie is known for her steady, gentle approach and enjoys educating her patient about great oral health practices. She loves getting to know every patient and catching up with her patients during their regular dental exams and cleanings. Brie lives in Rockford with her husband and son. When she’s not hard at work, Brie loves spending time with friends and family and playing volleyball. Megan is a 2014 graduate of the Rock Valley College Dental Hygiene Program. She joined Dr. Patel in 2015. Megan uses the latest technology and a gentle technique to keep our patients comfortable during the appointment to help all of our patients maintain a healthy smile for life. When she’s not helping patients toward a healthier smile, Megan enjoys traveling and spending time with her family in Hinckley. 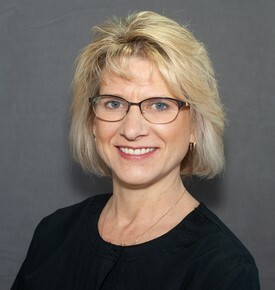 Carolyn has been building lasting relationships with generations of patients since she started with Dr. Peltz over 20 years ago. Carolyn started as Dr Peltz’s chairside assistant and then moved to the front office. Her passion for helping patients will make your visit to our office effortless. Carolyn is passionate about making dental care as stress free as possible and loves helping all our patients. 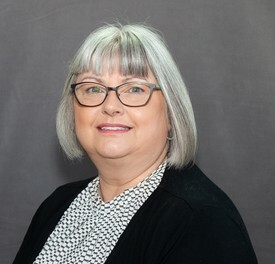 In her spare time, she loves to buy and sell antiques and spend time with her husband and family in Shabbona. Mimi brings over 15 years of experience to our team. Mimi started with Dr. Senderak in 2002 and transitioned with Dr. Patel in 2016. She knows and understands all treatment options, costs, insurance benefits and duration of treatment. These are all key pieces of information that Mimi keeps track of to assist you in making important dental treatment decisions. With her outgoing nature and friendly interactions with our patients, Mimi makes sure that every visit to our office is a pleasant one. In her free time she enjoys creating acrylic paintings and fairy gardens. Mimi and her husband live in Malta with their Dachshund, Katie. 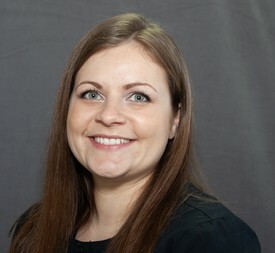 Kortnie has been working with Dr. Patel since 2016. Kortnie is a graduate of Indian Creek High School. She always enjoys meeting new patients, interacting with our current patients, and having people feeling great about their experience in our office. Kortnie loves making our patients laugh and feel welcome during each visit. You may even catch her humming along to the music, to help our patients relax and feel comfortable during their visit. Kortnie lives in Waterman with her family.